“Bless their friendships, making them godly and God-centered, and build their husbands to be Christian and kind.” These words are a portion of the many-versioned prayer I speak over my daughters as they grow. As my own marriage experiences growing pains, I pray ahead towards theirs, hoping to lay a foundation of blessing before them that will carry them through the inevitable trials they will encounter if marriage is in God’s plan for their lives. 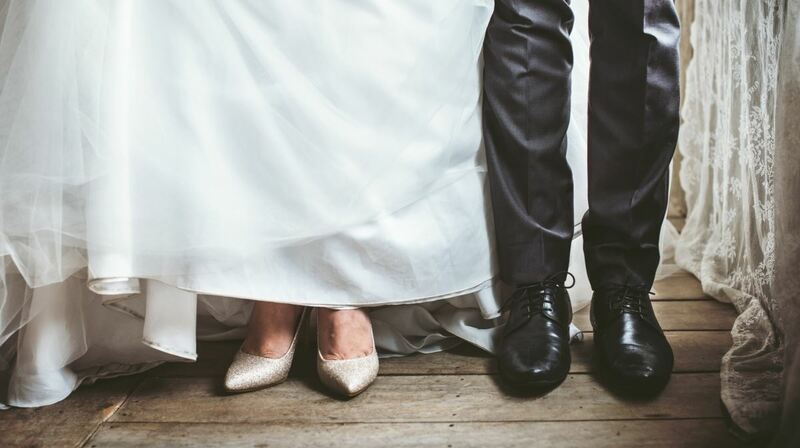 Whether we pray for our children’s spouses in infancy, or in the celebration of weddings, new steps and stages, the following verses serve as a bedrock of hope for their marriages. Today, we praise You for marriage. You know it’s not good for us to be alone, and so You provide a way for us to be loved and to live out Your will on this earth with a faithful companion. Today, Father, we first and foremost leave the plans we have for our children at Your feet, understanding that the future we see and wish for them may not be Your will for their lives. Today, we decide to prayerfully place our children in Your capable hands. Our job as parents is to guide them to Your feet. No matter what stage of parenting we are in, guide us as only You can to begin to let go when we need to. Help us to release them into Your full will and plan for their lives. Our children are much like us in many ways, but none are carbon copies – nor are the compilations of their experiences, thoughts, and connections to You and the other people in their lives. Help us to meet them with wisdom and guidance relevant to their lives and aligned with Your will. Even in this prayer for their future spouses, we override our desires to seek Your will for them, their spouses, their future families, and lives. Father, may our children’s spouses, wherever they are in life, be blessed. May they know You, know Jesus, and put You first in their lives. May this always be the case, no matter who captures their hearts’ attentions, or our child’s. May You reign first and foremost in their lives, before they meet, as they get to know each other, leading them all the way down the aisle and beyond. Take center stage in their individual lives, and in their marriages. May our children’s spouses be kind. Let the words that leave their lips speak in love and grace. We pray for the qualities of humility and gentleness. In a world that is quick to bite and jump to defense, may our children and their spouses be quick to forgive. When society rushes their agenda, help them to be patient and wait on You, God. Let purity reign in the lives our children and that of their spouses. From long before they meet, let the desires of their hearts align with Yours for their lives, Father. Give them the strength to uphold Your righteousness in their lives long before they are charged to seek You together. As their paths cross, keep their eyes set and focused on You. In a world that will tell them anything is OK, set them apart. Let them live according to Your will and word, so that they many enjoy the full joy of a godly marriage. Protect them, alerting them to choices they will later look back on and regret. Fill their hearts with compassion for those around them and compel them to lead others to You with their words and the way they live their lives. Father, we pray for our children’s spouses. Bless them and keep them physically safe. Guard their hearts and minds today and always. May they, and our children, enjoy walking in God’s will for their lives. For if marriage is Your will for them, let it be long, lasting beyond all odds. Provide them with the wisdom – and sometimes the miracles – they will need to overcome the many challenges and tragedies of married life. May they be a shining example of Your love. Bless them – as You promise us all – beyond what we can imagine or ask for. “Megs” writes about everyday life within the love of Christ. She stepped out of her comfort zone, and her Marketing career, to obey God’s call to stay home and be “Mom” in 2011. From that step of obedience her blog, Sunny&80, was born, a way to retain the funny everyday moments of motherhood. (http://sunnyand80.org) Meg is also a freelance writer and author of “Friends with Everyone.” She loves leading her Monday morning Bible study, being a dance mom, distance running and photography. Meg resides in Northern Ohio with her husband, two daughters, and Godlen-Doodle … all avid Cleveland Browns fans.